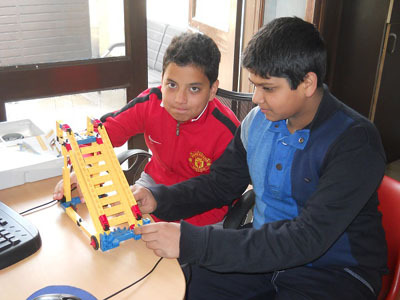 The field of mechanical engineering is very interesting for kids and children.In our daily life, we are using many simple equipments or gadgets which are based on mechanical engineering but our children are not aware of the principles used behind these machines. 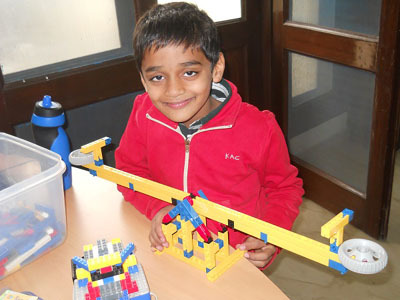 We have designed a program for small children age 6+ years to 14 years to teach them about the principals used in simple machines and different kinds of bridges. 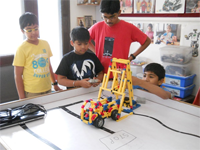 The program will teach the children about different kinds of gears, pulleys, inclined planes, levers, screws, wedges etc. They will build simple machines like hand grinder, crane, fork lifting truck,sewing machine,bicycle, etc. Besides they will also learn construction of different kinds of bridges used in construction of highways, railways etc. 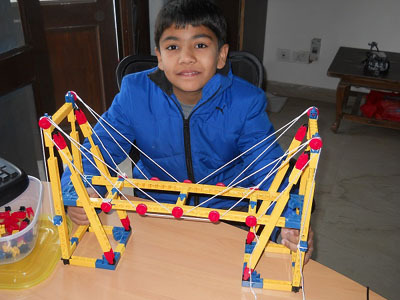 like beam bridge,arch bridge,truss bridge, cantilever bridge,cable stayed bridge etc. The basic programme is for 10 days and Level II programme is for 10 days. 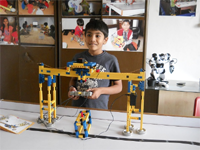 Under level II, children will learn to build fully operational models using motors, gears etc. and will learn motorized fork lift truck, over head cranes, moving trucks and cars, bull dozer etc. etc. and will learn motorized fork lift truck, over head cranes, moving trucks and cars, bull dozer etc. 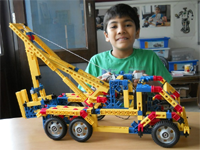 We are offering advance courses in mechanical engineering for kids and children based on usa pattern. We are organizing Regular workshops during Summer Vacations starting May 13, 2018 till July 31, 2018.Our Fee for 6-days workshop is Rs. 3,000/- only for Level-I programme and Rs. 5000/- for 10 days workshop of Level-II programme. You can register your child online.